The cabinet has given the green light to B10 biodiesel, and the fuel – which will contain 10% palm oil from today’s 7% – will be rolled out from December 1, 2018. This is according to primary industries minister Teresa Kok, who was speaking to Bernama in a radio interview. “The cabinet has approved the use of B10 and it will be implemented from December 1. We also have the agreement from the Federation of Malaysian Manufacturers that the industrial sector will use B7,” she said, adding that the move to introduce B10 will see the use of palm oil to double locally. According to the national news agency’s report, the B10 biodiesel programme will be implemented in the transport sector and other subsidised sectors in stages, and will be mandatory from February 2019. It quoted Bloomberg, which cited a letter from the primary industries ministry to petroleum companies. Lorry associations Pan-Malaysia Lorry Owners’ Association 1987 (PMLOA) and Association of Malaysian Hauliers (AMH) have previously stated their opposition to the move to B10, saying that additional kits will have to be fitted to lorries, which adds to cost. Is B10 safe? 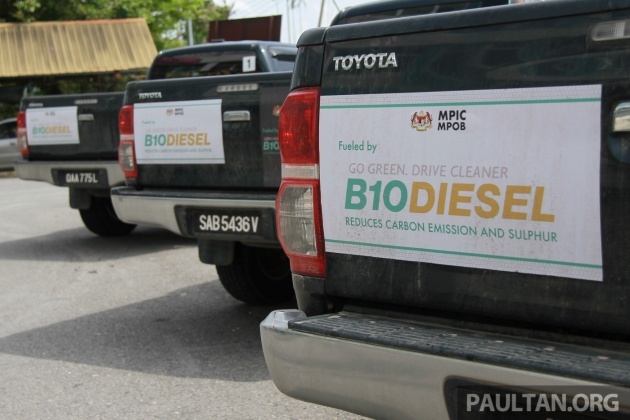 Note that the Kuala Lumpur City Hall (DBKL) completed a long-term field test on B10 biodiesel in conjunction with the Malaysian Palm Oil Board (MPOB) last year, clocking up over three million kilometres in just over three and a half years without any breakdowns. The test involved 50 vehicles of various sizes and engine capacity, from pick-up trucks and five-tonne lorries to vans, heavy machinery and excavators. 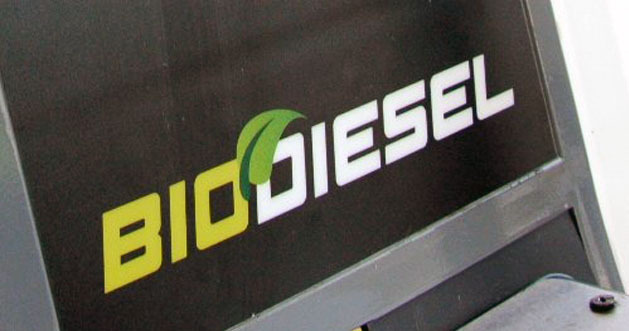 It has been previously said that should B10 biodiesel be introduced in Malaysia, it would be limited to Euro 2M diesel, while Euro 5 diesel and diesel sold in high altitude areas such as Cameron Highlands and Genting Highlands will remain on a B7 formulation. We’ve written a fair bit about B10 biodiesel before, and you can learn more about the fuel with the 10% palm oil mix here. Also check out what MPOB’s biodiesel researcher, Dr Harrison Lau, has to say here. Good news for biodiesel player esp Felda SimeD. But not good news for diesel cars. UiTM never said they created Biodiesel. Please go back to school and improve on your English. Does the minister in charged knows that BIO Diesel pollution is even WORST than breathing in AIR from SMOKERS. SMOKERS THEY WANT TO BAN IN ALL OPEN AIR CAFES WHICH HAS LESS ADVERSE EFFECT IN HARMING PEOPLE COMPARE TO TOXIC FUMES FROM BIO DIESEL PARKED NEXT TO ANY OPEN CAFES. IN OPEN AIR RESTAURANTS INSTEAD. JUST BECAUSE THE MINISTER IS A NON SMOKER . WHAT RATIONAL IS THIS? GETTING RID OF EXCESS LOW DEMAND PALM OIL ( COS EUROPE BANNED ALL PALM OIL IMPORT FOR BIO DIESEL) AT THE EXPENSE OF RAKYAT HEALTH AND PENALISE SMOKERS . UTTERLY RUBBISH , WHERE IS FULL SWING EURO 5 AND 6 DIESEL AND VEHICLES EMISSION POLLUTION CONTROL ? WHERE??? Sick & tired of this flipflop Government. Backup your fact with relevant data because the G have so much of it years back to kick start this incentive. Logically, palm oil waste in less harmful than petroleum waste. Has euro 5 diesel been restricted to Cameron and getting ? Used to be available in selected stations in KL. Hope not. Dear Minister. Where is the RM1.50/L petrol like your cohorts have promised us? Honeymoon has come and gone, where is the promise? Don’t be fooled : there is nothing “BIO” in it. 1. reducing carbon emissions ? wrong. We burn forests for palm tree. And it is wrong to think that humans won’t burn all the petrol they can. It just delays or let others burn it. 2. palm tree is worse for environment than these carbon emissions. We kill forests and Orang Outang (along with other species) right now. 3. Only good is for… palm tree business. And guess what ? Care to back up your claims with facts, sebastien with an e? Since palm oil at it lowest price since 2016 (under RM2k), should Bio 10 Diesel cheaper than current price then?